My friends in primary school used to be awed at how nobody could hold all of my hair in one grasp. Yes, my hair was thicker than most barettes could hold and longer than most ponies' tails. Yet, as I shed my smaller school uniform for bigger sizes, my hair shed parts of itself, in revolution against the pollution, dirt and grime that makes up city air, and slowly diminished to half its original volume. 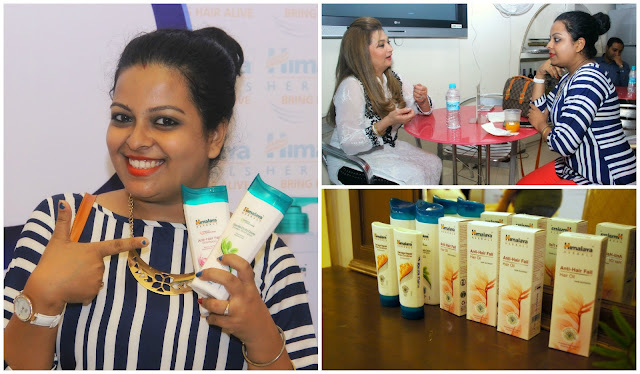 When Himalaya Herbals called bloggers to experience their hair-care therapy range, while taking expert tips from renowned beautician Bridgette Jones, at her salon, I knew it was time I got solutions for my tress troubles. The girls were treated to the ultimate Himalaya Herbals hair-care therapy session - right from oil massaging to shampooing and conditioning - but me, being in a rush due to some urgent work, had to be satisfied with the tempting sight of my fellow bloggers enjoying the sessions......though I did get to talk to Bridgette about some of my hair problems and am glad I did! I, like most of my fellow city women, face the ubiquitous nightmare of hairfall; along with dry, damaged, frizzy hair and split ends. According to Bridgette, only the proper hair-care routine can put an end to said problems and the method she suggested was easy, hassle-free and absolutely do-able at home! 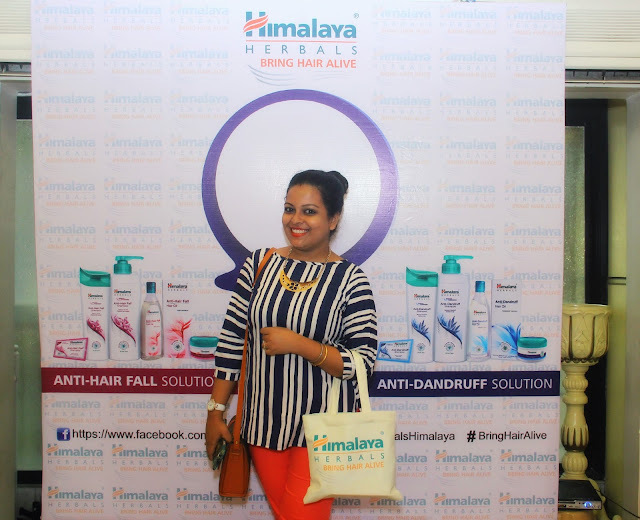 Massage your hair and scalp with the Himalaya Anti-Hairfall Hair Oil and leave for 15-30 mins. Wash off the oil with Anti-Hairfall (or Damage Repair - as per your need) Shampoo once. Apply the Himalaya Anti-Hairfall Hair Cream to wet hair and leave in for 5 mins. Rinse hair with water and towel dry hair as much as possible. 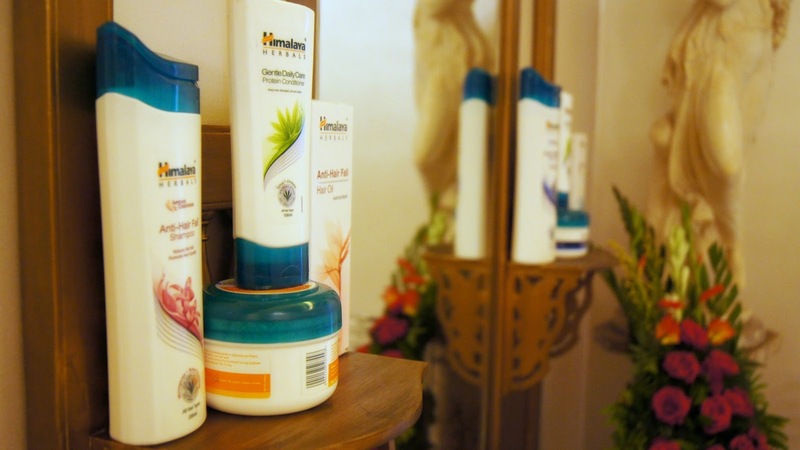 Apply Himalaya Anti-hairfall (or Damage Repair) Protein Conditioner to hair evenly and leave on for 5-10 mins. under a shower cap. The shower cap helps retain the moisture and the closed air acts in steaming the conditioner into the hair. Towel dry hair till 90% and rest 10%, blow dry with a hair dryer turned to medium settings. Carry on this routine twice a week and voila!! You'll see soft, smooth and frizz-free hair (that doesn't fall out in clumps anymore) in a few weeks' time! Am all set to try out this new regime......so be prepared to see my hair grow smoother and stronger! What do you do to keep your hair alive? Any tried & tested tips and tricks for smoother and stronger hair? Tell us your secret hair-care therapy! I love your smile. you look amazing! 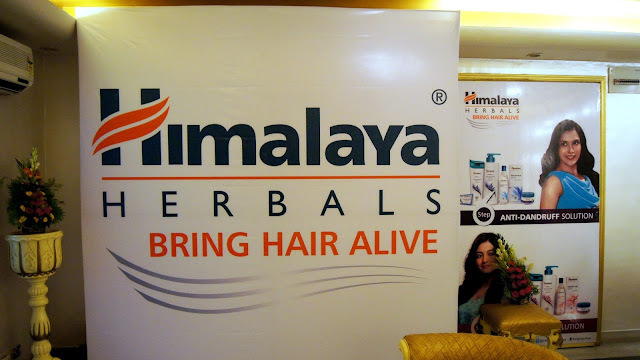 The himalaya products sound great! Will definitely give them a try...you look so cute, Anupriya! My hair needs some TLS and a regime asap.. n this ne looks doable. I would love to know how the freak I stop myself from going bald!